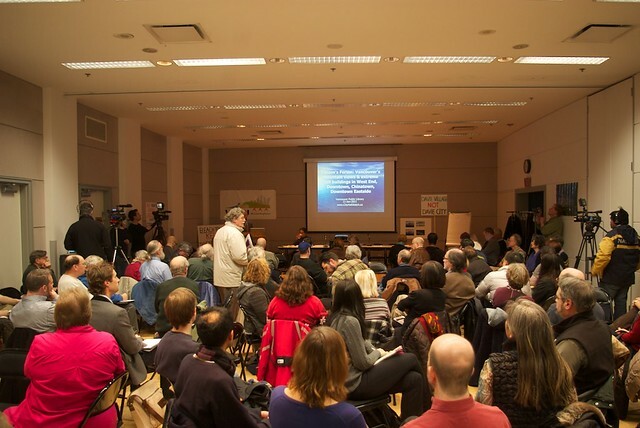 At a forum held last night at the VPL, residents questioned the way the City of Vancouver conducts public consultations. The event’s organizers, a group called cityhallwatch, admitted that the forum had been, out of necessity, organized on short notice. Nevertheless, the forum was well attended, including a member from each of the city’s three sitting municipal parties, real-estate developers, city planners, and grassroots community organizers. There was urgency in the air, as the policies under discussion go to City Council next week. Randy Helten, cityhallwatch founder, argued that lack of notification and community involvement are only part of a systemic problem in municipal politics in Vancouver. Staff reports and public hearing agendas are often released with very short notice to the public. 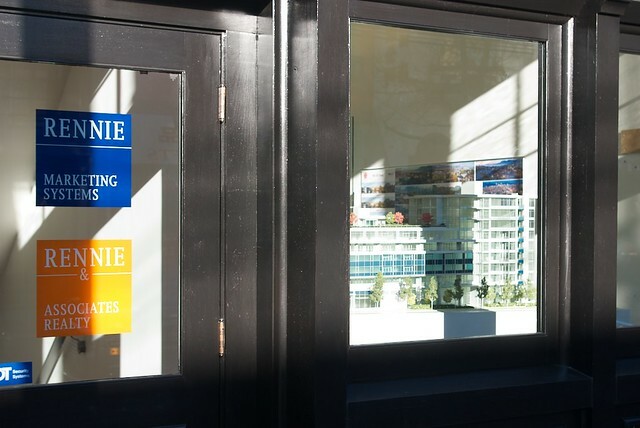 Jean Swanson, of the Carnegie Community Action Project, explained how building 7 condo towers in the Downtown Eastside, as proposed, would displace the community’s current residents and community assets by pricing them out and attracting a new class of condo buyers and boutique stores catering to them. After the evening’s planned presentations, the audience was invited to speak on any particular issues they had. There was significant criticism of Vision Vancouver’s planning policies, and their general attitude towards the community. The only Vision councillor in attendance, Geoff Meggs, stood up to represent Vision and defend his party, arguing that consultations had been made and that views of the mountains would be saved. Many attendees emphasized that even they (who tended to be relatively engaged in municipal politics) hadn’t been included in consultations, nevermind notified of them. Concerns were also raised about who exactly would benefit from rezoning for towers. Helten emphasized the increasingly influential role of developers in city planning, and brought up the recent radio interview where former Director of City Planning Ray Spaxman (former consultant on the Historic Area Height Review, who recently spoke with The Mainlander) warned of their influence. Legislation that would make Vancouver municipal parties disclose their donors and would cap corporate donations and overall campaign spending, might be in jeopardy. While the legislation has the support of the municipalities themselves, including Vancouver, several BC Liberal candidates have said the legislation is no longer a priority. Campaign finance reform is increasingly important in Vancouver, where wealth disparity is growing. And with real-estate developers, often anonymously, pumping hundreds of thousands of dollars into civic campaigns to influence planning decisions, campaign finance reform cannot come too soon. 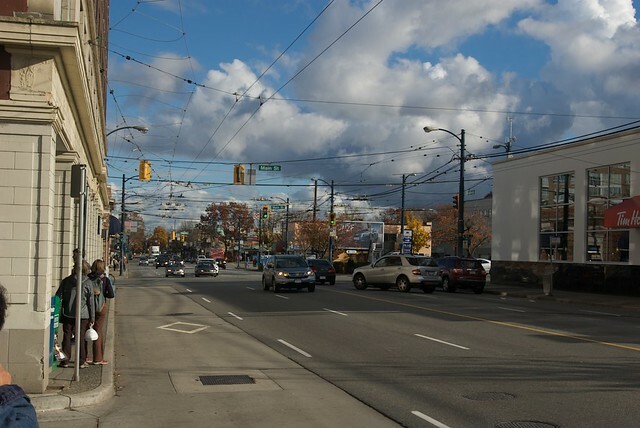 The legislation was to be enacted before Vancouver’s upcoming November election. Are the Liberals stalling to help their wealthy associates? A public forum will be held tonight at 6:30 at the Vancouver Public Library discussing the future of height in Vancouver. Details on a live stream of the forum will be available here. This forum is just a part of the community convergence that has occurred around this issue. 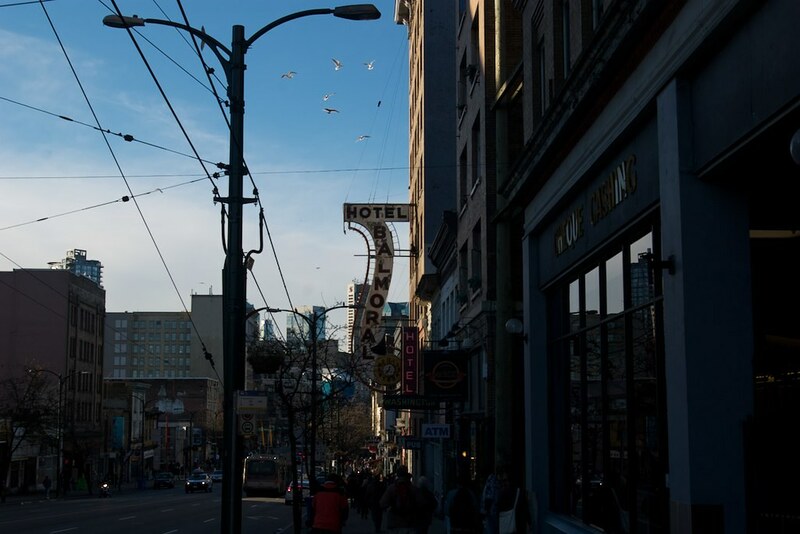 The Mainlander recently reported on the negative impact the proposed height increases would have on the Downtown Eastside (DTES). This past Saturday, Jan 8, the Downtown Eastside Neighbourhood Council (DNC) general membership voted overwhelmingly to oppose this DTES condo tower plan. When there is a rezoning, the City negotiates with the developer to extract contributions that will “benefit” the community (e.g. parks, social housing units, jobs, etc); on Saturday the DNC also voted to oppose the current method whereby residents are shut out of these negotiations. 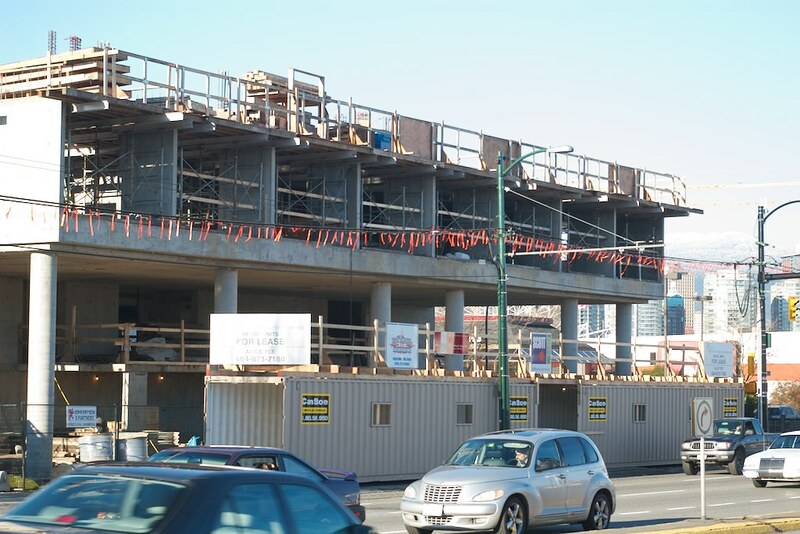 Council is set to vote on the proposal for 7 condo towers in the DTES at 2:30 on Jan 20 2011. The public is welcome to speak on the rezoning policy, which can be found here. A memorial service for the three men who died in an East Van house fire was held Saturday at the Longhouse Council Native Ministry. Garland McKay, Dwayne Rasmussen and Steven Yellowquill died on Dec 22 when the porch they were living in at 2862 Pandora St. caught fire. 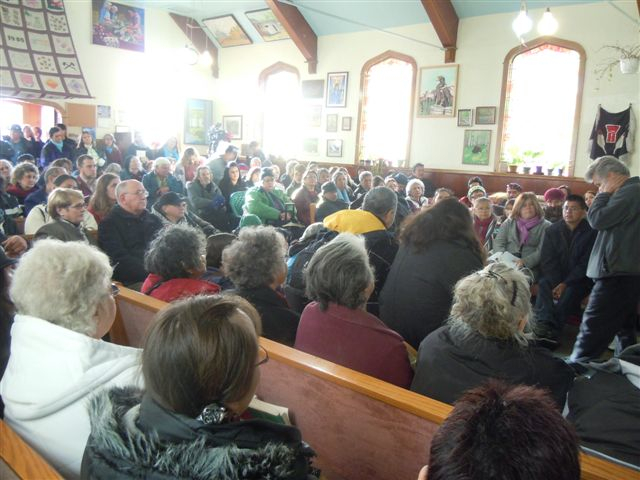 On Saturday, the Longhouse was filled to capacity with friends and family. The service began with a song led by Traditional Mothers. Morris then asked the mourners to stand up and share memories of the three men. For friends and family, it was a day to honour the men and their strengths. A picture emerged of the men as compassionate, respectful, and selfless. At Saturday’s memorial, a broad picture of the men’s journey and challenges also emerged. There were many preventable factors creating the conditions for the tragedy. The three men came from First Nations across the country (Rasmussen from Mount Currie, McKay from Kelowna, Yellowquill from Manitoba) to Vancouver looking for opportunity, but were unable to access appropriate non-market housing. 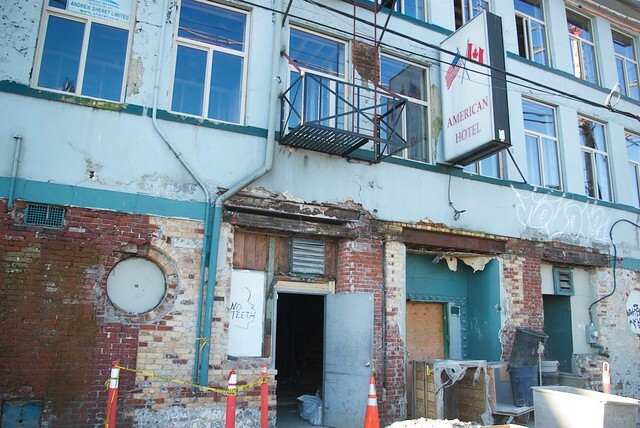 As a result, the only housing that was accessible to them was the unsafe and inadequate “rooming-house” at 2862 Pandora St.